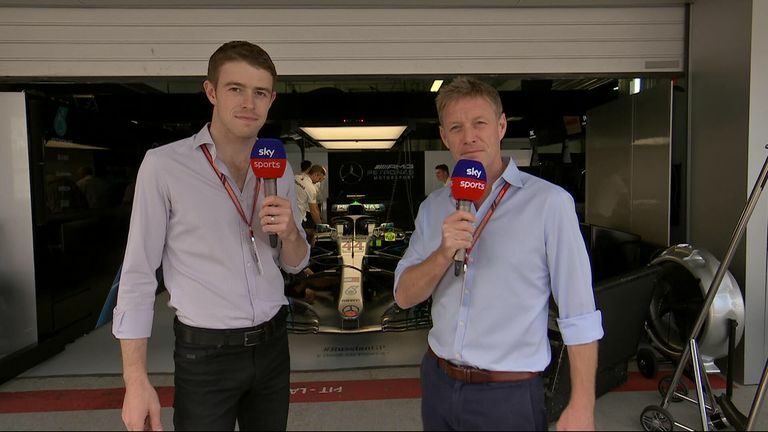 Ahead of the Russian GP, Sky Sports F1's Simon Lazenby and Paul Di Resta discuss the major talking points in F1. Will Ferrari and Sebastian Vettel recover from their recent slump? Watch the Russian GP exclusively live on Sky Sports F1 this weekend. It has been a nightmare couple of races for Vettel with Lewis Hamilton opening up a 40-point lead in the championship, and the Mercedes driver will be looking to build on his consecutive victories in Sochi. And you can watch every session live on Sky F1! NEW: Watch Sky F1 on the go like never before thanks to the new Race Control service, which is available on iOS and Android devices for subscribers via the Sky Sports app. Find out more here. TV: Sky Channel 406 is the home of Sky Sports F1 throughout the 2018 season and features live coverage of every practice, qualifying and race. Race Control: On the Red Button and the Sky Sports app, take control of what you watch thanks to multiple driver cams, the pitlane channel, driver tracker and an up-to-date timing page. Ultra HD: Sky Q customers with a 2TB box and Multiscreen package can watch the F1 track action in incredible Ultra HD - the only place in the UK and Ireland you can do so. Upgrade your package via the Sky Shop. On Demand: If you miss the live action, or want to watch again, catch up via the Formula 1 tab in the Sky Sports section of On Demand on connected boxes. NOW TV: Watch the race from £7.99 - with no contract required. The NOW TV app is available on more than 60 devices, including TV, mobile phones, and games consoles, and you can register up to four of them. Watch every 2018 practice session, qualifying and race - only on Sky Sports F1. The Sky Sports website and mobile app, along with our Twitter, Facebook and Instagram feeds, bring you all the latest news, insight, pictures and video from every race weekend, with track sessions covered in our live blog. 9.15am: F2 Race Two LIVE! 11.30am: On the Grid LIVE! 12.10pm: The Russian Grand Prix LIVE!